During the period of the “Cold War” between 1948 and 1991, an average of over 5000 New Zealand youths vied each year for entry into the Army’s elite RF Cadet School or the “Club” as it was colloquially known. Less than 3% of those who applied to join, made the grade. The Army accepted them as young as 15 into its ranks offering continued education, trade training and apprenticeships. Most would go on at age 18 to become the backbone of the New Zealand Army serving with distinction in Korea, Borneo, Malaya, Vietnam, Bosnia, Afghanistan, East Timor, Iraq and other regions of conflict as Senior Non – Commissioned Officers (NCOs). A few would earn commissions as officers. Some went on to serve with the SAS and as key personnel of other Regular Force units. Today they can be found in leadership roles in all aspects of business, social services, government and politics following their successful careers in the Army and other arms of the services, both at home and abroad. Coinciding with the end of the cold war the School closed its doors in 1991. This website is dedicated to all those young soldiers who volunteered to serve their country at a time when the world faced the threat of communism & nuclear war. 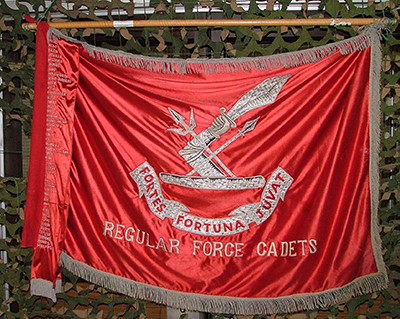 This site is for the favoured few who attended the RF Cadet School. The RFCA seeks to help maintain the comradeships of old and things like that. Check out the various sections along the top of the page for all kinds of info about the people, events, and memories of the favoured few. And if you have something you would like to contribute the site, we’re always up for it!